Home medical devices, as opposed to fitness products like activity-measuring wrist bands, have too often been stuck in the past, even as smartphones have zoomed ahead on hardware and software. A prime example is the device used by diabetics, a small gadget called a glucometer that analyzes a tiny drop of blood. Diabetics usually use these several times daily to determine the levels of glucose in their blood and make decisions on diet, exercise and medication. Most glucometers use ancient technology that provides only a snapshot of information. And most lack wireless connections for easily transmitting readings to digital devices for more sophisticated analysis or for sharing the data with a doctor. Many diabetics still log their results using pen and paper. 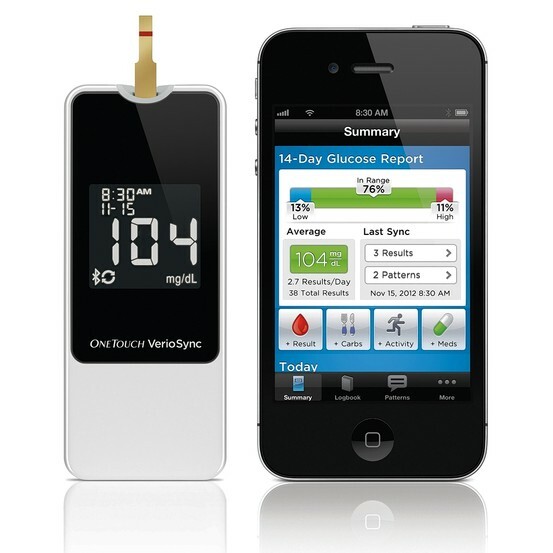 The OneTouch VerioSync Meter offers an app to collect and analyze diabetics’ health readings. I’ve been reviewing two diabetes meters that aim to change that. Both are able to instantly send results to a smartphone over a Bluetooth wireless connection. Each offers an app that collects and analyzes the readings, and gives a picture of how their users are doing over time. Both apps can also send reports from the phone to a doctor or other person. One is the iHealth Wireless Smart Gluco-Monitoring System, and comes from a company of the same name that also makes other products that aim to provide a collection of digital sensors for health measurement. It’s more of a tech company than a standard medical-device company. The other is the OneTouch VerioSync Meter and comes from LifeScan Inc., a Johnson & Johnson company that is a leader in the glucose-monitoring business. I’ve been testing both products for a few days, and both work as advertised. Both are FDA approved, though they operate a bit differently, and their companion apps are different. The iHealth meter is available now, while the LifeScan product is set to come out early next year. The iHealth Wireless Smart Gluco-Monitoring System. The meters can transmit the readings to a smartphone using a Bluetooth wireless connection. I can recommend either for diabetics who’d like to know more at a glance, and tie their most important health-tracking device into their sophisticated phones. One caveat: These two new meters are only partial steps toward improving diabetes care. Users will still need to prick their fingers multiple times daily to get those drops of blood. And both use disposable test strips, which can cost $1 or more apiece, before insurance. The VerioSync looks like a traditional meter. It’s a rectangular white plastic device with a large, black inset screen that presents the glucose reading in large white type. The iHealth device is designed to look much cooler. It’s a slender, curvy white device with a blank white surface on which the reading appears in fainter blue type. LifeScan’s new meter works only with Apple’s iOS devices — iPhones, iPads and iPod touches. It’s expected to cost $20 at launch, and $30 thereafter. A box of 25 test strips is expected to cost $40, before insurance. 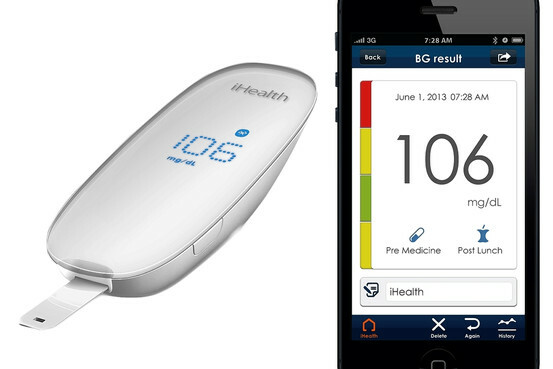 The iHealth meter works with both Apple’s devices and seven Android phones. It costs $80 for a kit that includes the device, 50 strips and other accessories. More strips cost $50 for a packet of 50, before insurance. As with any Bluetooth device, like a headset, you have to pair these meters with your phone. I found this easier with the VerioSync. In addition, the VerioSync more easily reconnected with the phone whenever it was in range and I prepared to do a test. The iHealth app always asked me to press a button on the meter to reconnect. Both meters can be used when out of range of the smartphone to which they are paired. In these cases, the meters save the readings, and then sync them to the phone the next time you’re in range. You can also use the free apps without buying the meters, as digital logbooks. But the companies say their apps only sync data wirelessly from their own meters. Traditional meters use small batteries that can last months. A downside of these two Bluetooth meters is that they don’t use removable batteries and must be recharged periodically. The meter can last three to four weeks on a charge for a person who tests three times daily, iHealth says. LifeScan says its meter lasts up to two weeks between charges. I found the LifeScan VerioSync app to be richer and easier to understand. At a glance, it shows you a color-coded bar that tells you what percentages of the time you’ve been in or out of your optimal range of glucose readings for the last 14 days. You can also see your average reading, and other data, quickly. Tapping on these symbols gives more details. There’s also a logbook that shows readings, and patterns of readings, over 14 days, or grouped by time of day. You can manually add readings from other meters, and customize your target ranges, presumably according to what your doctor recommends. You can also email screenshots, or even tables, of results. The iHealth app is plainer, and more table-based, though it does include a simple graph to show trends. It also lets you manually enter readings and set target ranges. 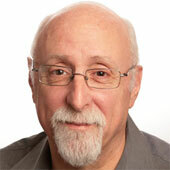 And it allows you to email results, in table or graphic form, or even post them to social networks. One nice addition: iHealth’s emails include a file that can be opened in a spreadsheet. A big difference is that, when you are in Bluetooth range, the iHealth app walks you through the test-taking process on the screen of the phone, which I believe could be annoying to an experienced tester. Even in range, the VerioSync app merely receives and integrates the reading. With iHealth, you also get access to a browser-based cloud dashboard that collects data from all of the company’s devices you might own. But I found the glucose portion of this to be pretty rudimentary. And you can still only share results via email, not by giving others permission to access your cloud account. Either of these meters could make disease management easier for diabetics with smartphones. But the snail’s pace of improvement in these devices is maddening.